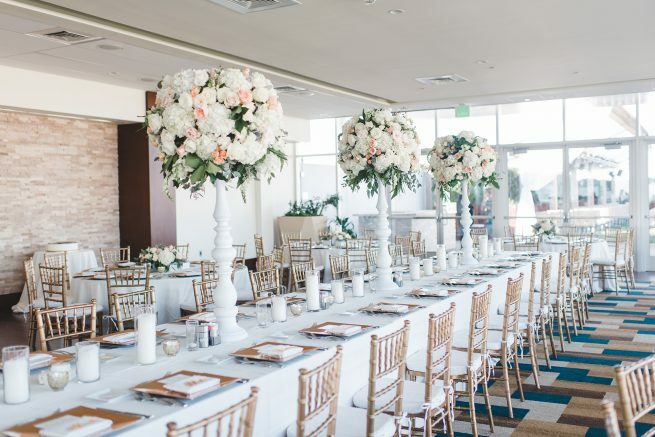 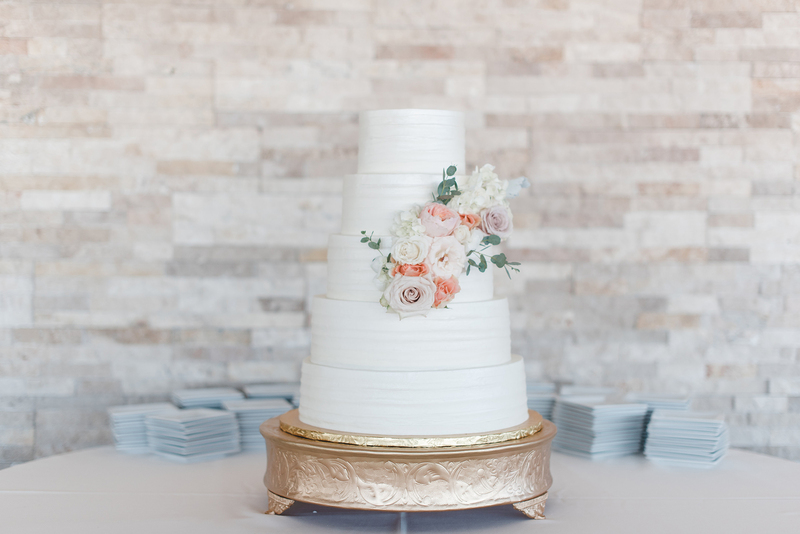 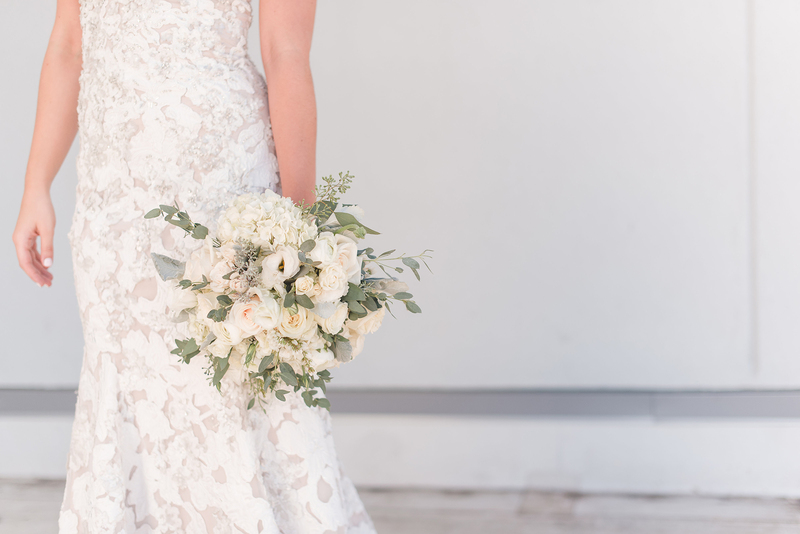 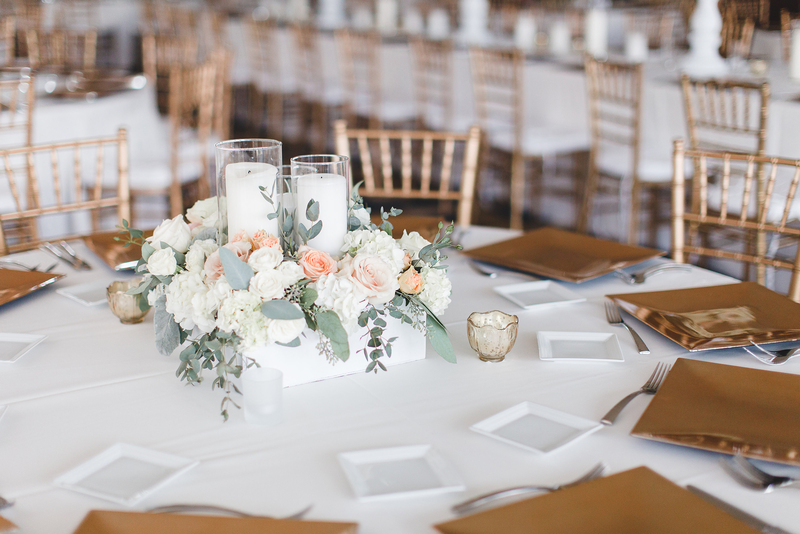 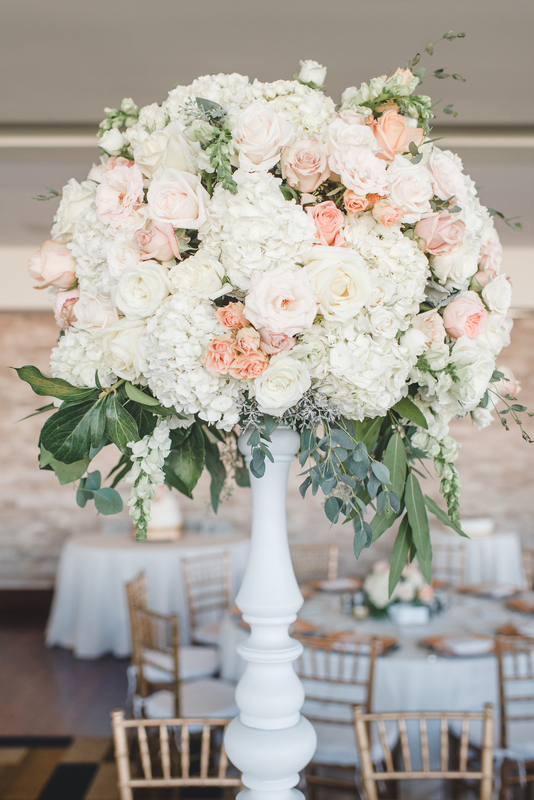 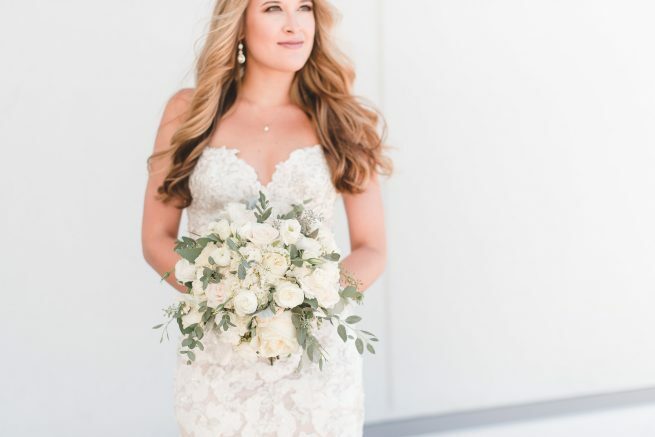 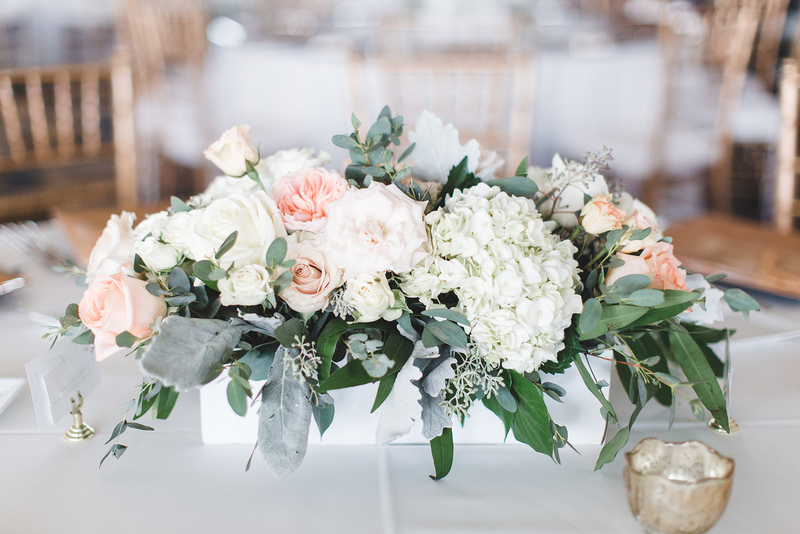 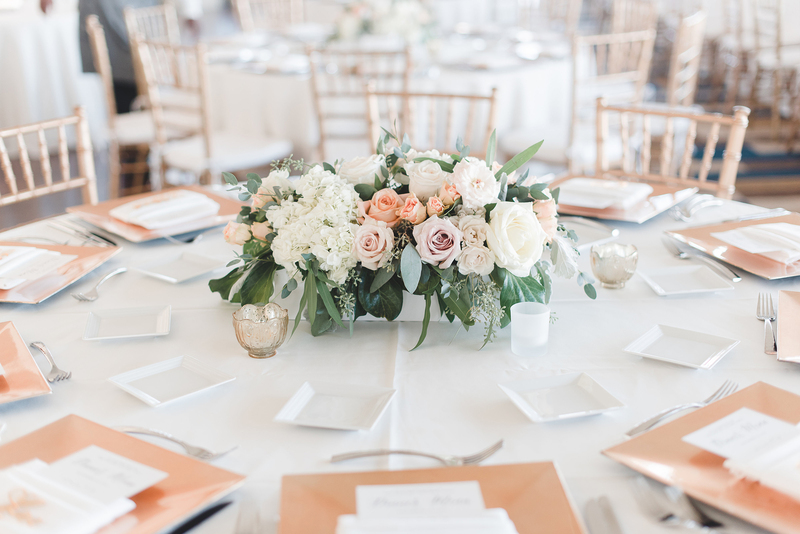 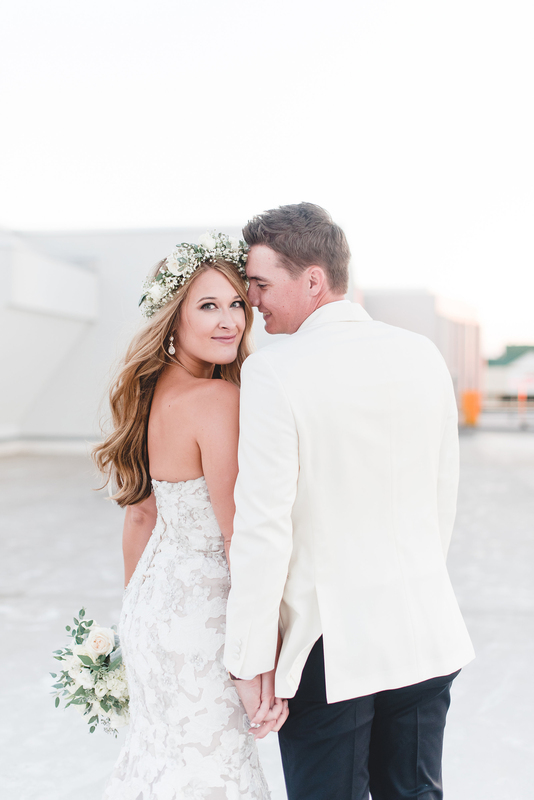 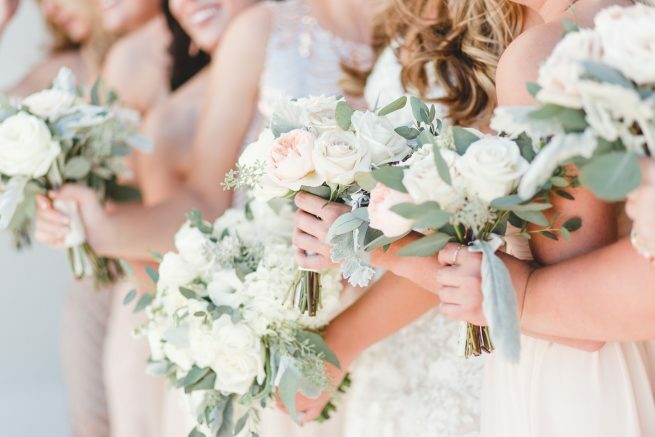 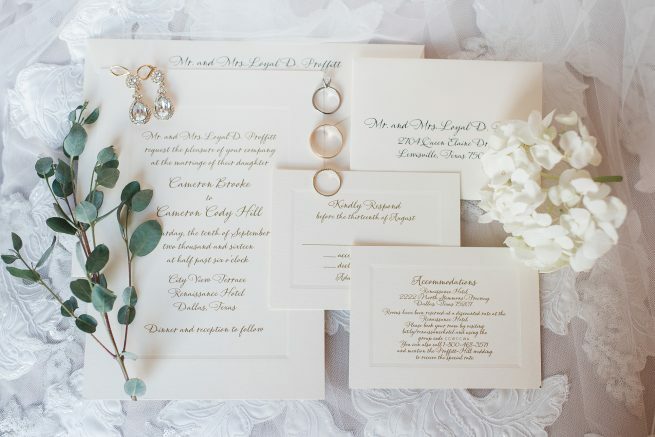 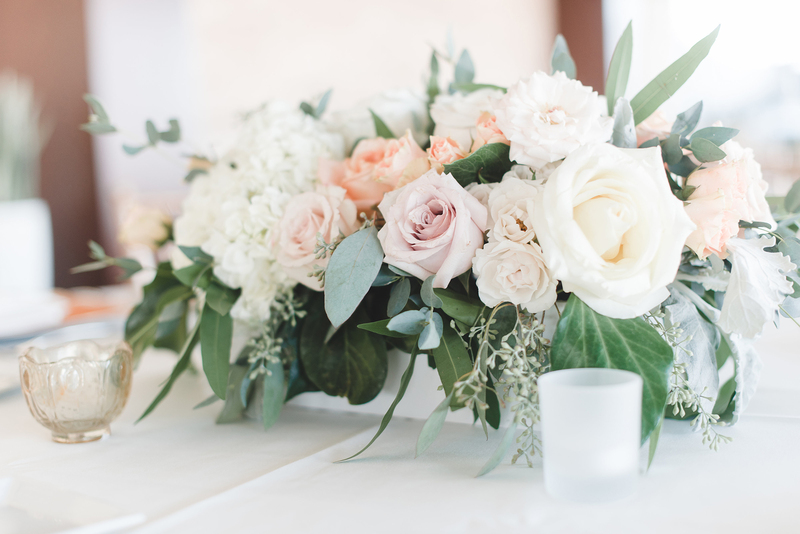 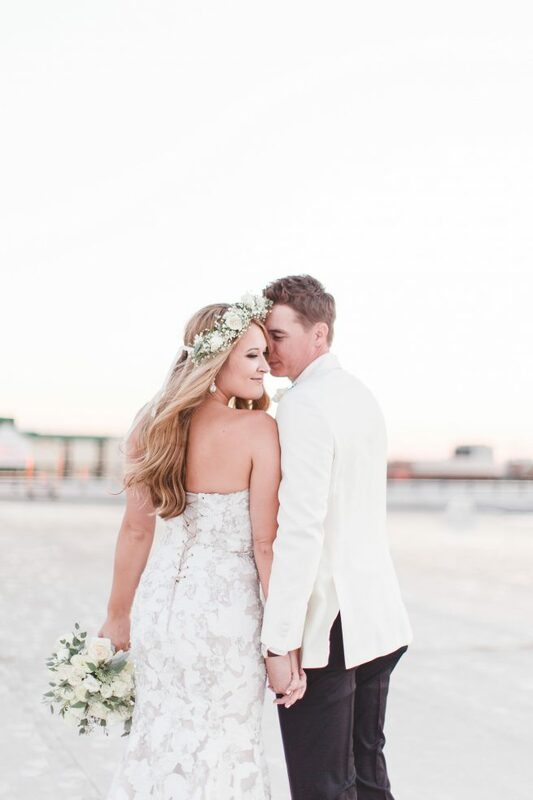 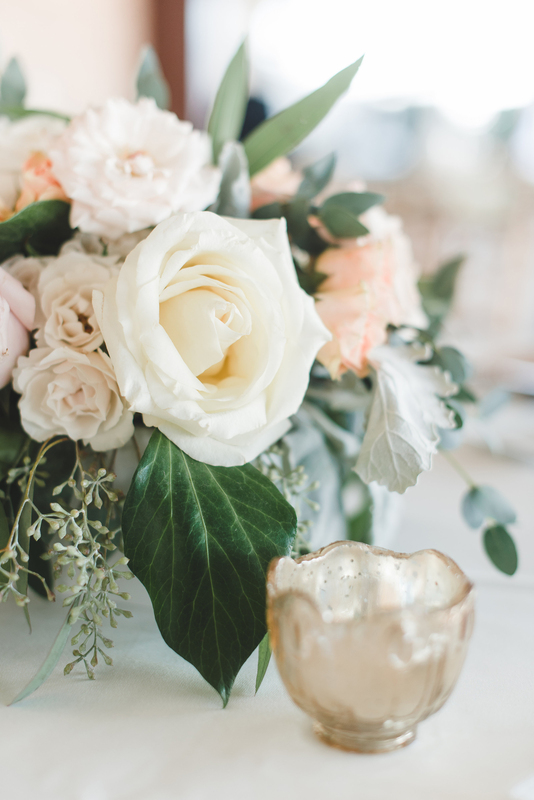 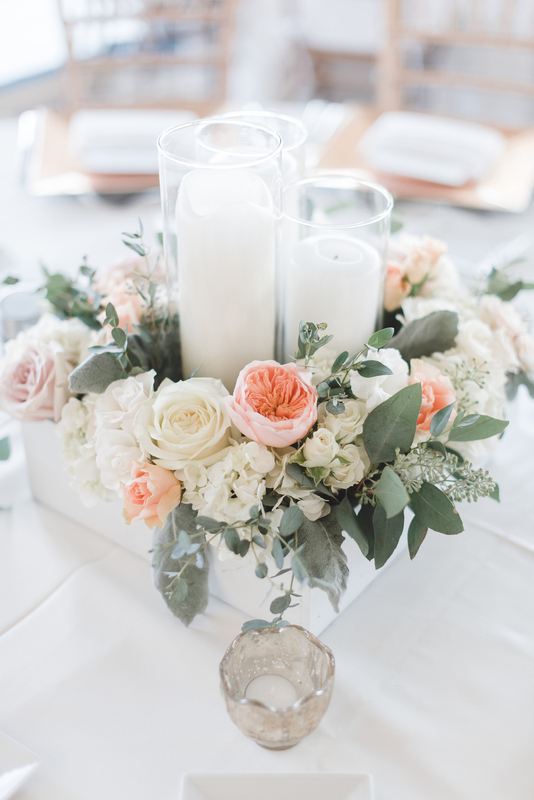 Cameron and Cody’s wedding was a perfect combination of clean whites and blush flowers. We created a greenery arch out of Eucalyptus, Willow, and Lemon Leaf. 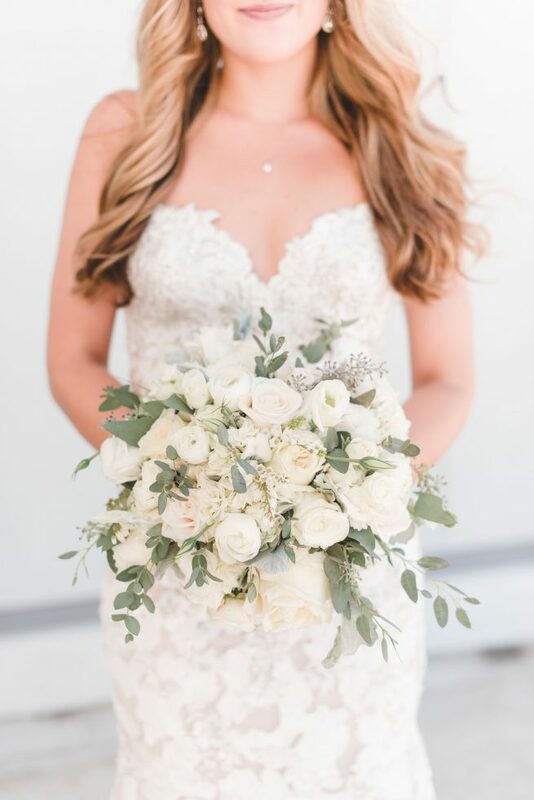 For the reception, Cameron and her bridesmaids added floral crowns to their look. 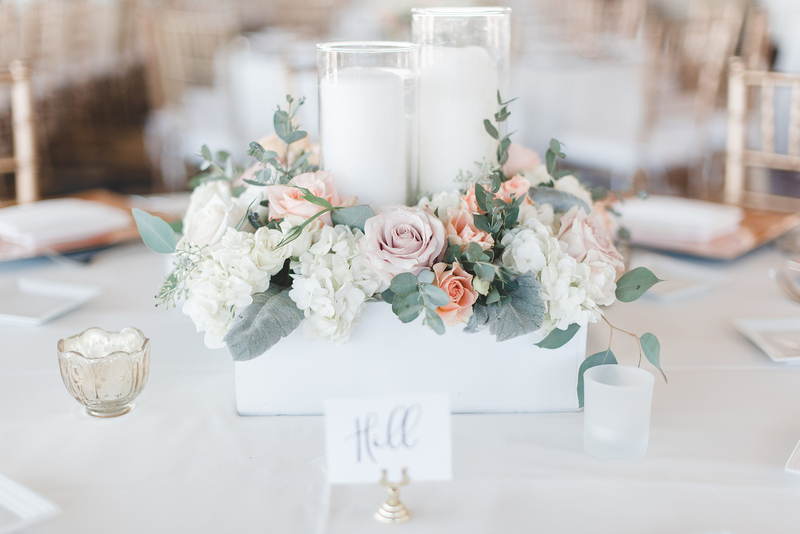 All the containers were white and the head table had white vases with an oval shaped floral design with whites and peaches.